HP 2710p GP590AW#ABD 12'' WXGA+ U7600-1,2 1GB 80GB WL BT Vista Bus. 3J.Gar. HP 2710p RU541EA#ABD 12'' WXGA U7600-1,2 2GB 100GB *UMTS* CAM WL BT Vista Bus. 3J.Gar. HP TC4400 EY608EA#ABD tablet 12'' XGA T5600 512MB 80GB WL BT WinXP-tablet Ed. 3J.Gar. Thinkpad X60 Tablet UU0Q3GE 12" L2500 2GB 100GB FP BT abg 4c VISTA-Bus. HP TC4400 RL875AW#ABD tablet 12'' XGA T7200 1GB 80GB WL BT WinXP-tablet Ed. 3J.Gar. 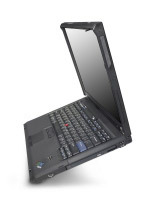 Thinkpad X61T tablet UU394GE 12" L7500 SXGA+ 1GB 80GB 8c FP BT VistaBus. 3J.Gar.